Based on our expertise in finance and according to the policy of high-quality customer service, we provide all of our prosperous and goal-oriented clients with flexible financial solutions. Find our services and we help you realize your business visions! Let me express my sincere thanks for your trust and interest in the business of KDB Bank Europe. 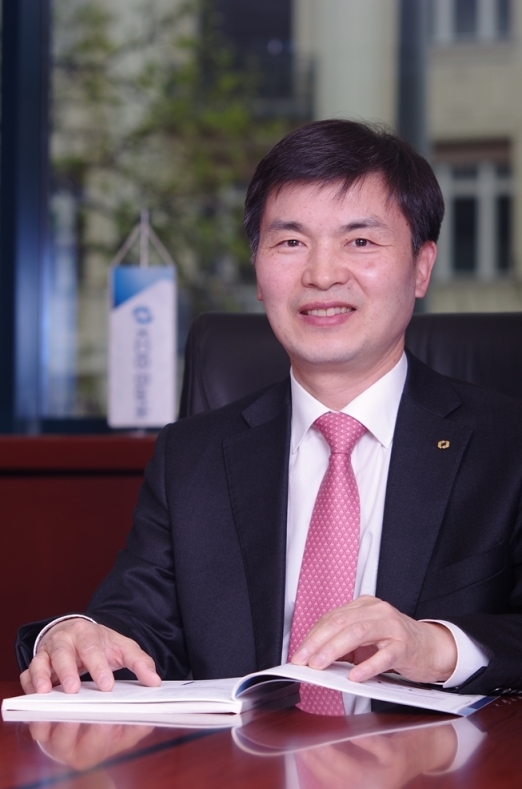 We proudly present ourselves as a 100% governed subsidiary of KDB Bank, an economic engine and first-class corporate financing expert in Korea, and we are committed to lead our operation prudently through advanced and professional performance centred on a client-oriented mindset and ethical business practice. Our business and clientele enjoy the support of the Bank’s exceptional financial strengths, which are complemented by the extensive experience we have been accumulating in the Hungarian and European markets for almost three decades. Our mission is to fulfil the role as KDB’s European business hub, to be a profitable member of the KDB overseas network and also to actively support our clients’ business and prosperity. We aim to strengthen KDB’s presence and importance within the Hungarian and the broader European markets as a reliable, competitive and universal commercial bank with a strong corporate focus, dynamically responding to various economic changes. We have solid foundation to reach our goals. Looking back on 2017, we can recall enthusiastic work and encouraging accomplishments. We have confronted several external pressures like tense market competition, low interest margins and tightening authority requirements. However, our positive strategic approach resulted in success in many ways. Our profitability was supported chiefly by corporate financing via steadily developing the loan exposure volume. In 2018, we aim to implement further measures for a gradual growth. We will focus on building a stable profit base and securing high quality assets from a long term perspective. We intend to continuously develop our main profit driver, corporate financing business, by expanding asset and project financing portfolios. We will also seek to boost fee income and enhance transactional business while placing particular emphasis on product development and internal system improvement. KDB Bank Europe is committed to maintaining mutually beneficial business relationships with you in the coming business years. We will cherish your trust and support as we look forward to serving as your prime financial partner!